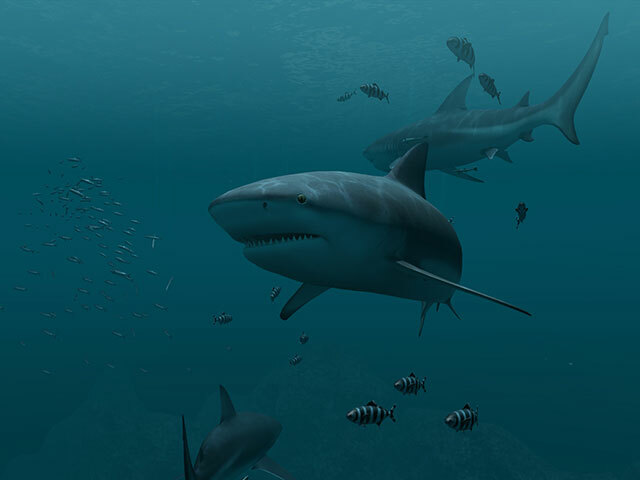 ﻿ Sharks 3D Screensaver – Get startled by the closeness of these notorious sea predators! The ocean fauna has always been the cynosure of all eyes. The children of Earth, we are eager to know everything about what is happening in the deep waters of the ocean, where the earliest life is said to be born many ages ago. Sharks are those dwellers of the ocean that simply stick our attention to themselves making us stare at their strength and beauty in wide-eyed astonishment. 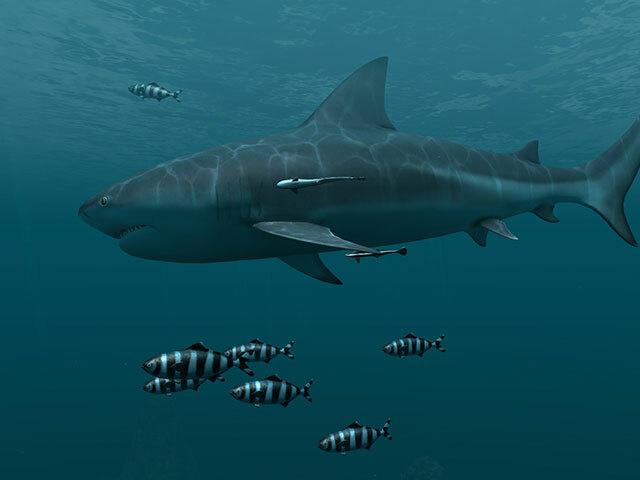 Scientists consider these animal species to be one of the oldest on the planet as sharks have existed on Earth for already 400 million years. 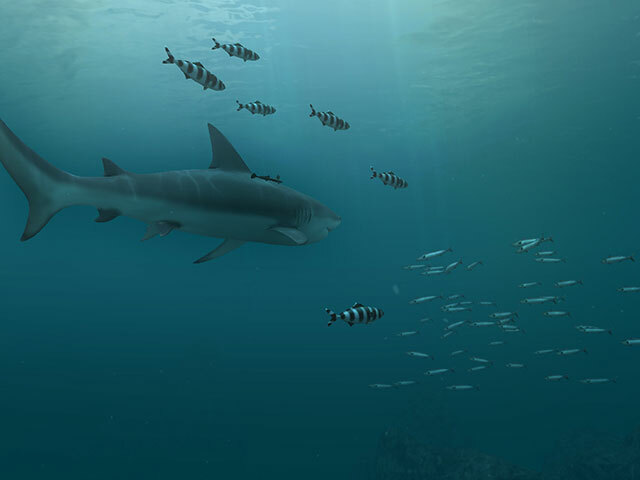 Unlike a good many of the other land and sea animal species which could not overcome different cataclysms and died out, the sharks have managed to survive. But how on earth are they doing that? Meanwhile the scientists are trying their best to explain this by the shark excellent adaptability to different conditions of the salt water, the designers of the Sharks 3D Screensaver has decided to give millions of users opportunity to have a closer look at these animals habits by creating a kind of a magical digital mirror in the ocean realm. The graceful easy movements of sharks make the impression that these creatures are quite friendly and harmless. But we are all aware that a hungry shark is a great danger for everyone who happens to be nearby. It is a wonderful experience to study the shark habits without any risks for your life, simply settling yourself comfortably in the chair by the monitor of the computer. The sight of the shark leisurely swimming in the virtual sea and gazing around can greatly impress even the most phlegmatic people. And the shark freaks will get in seventh heaven watching their wild pets in the course of the working day. It might happen that one day you chose to join them and then the Sharks animated screensaver will become an essential part of your marine screensaver collection.